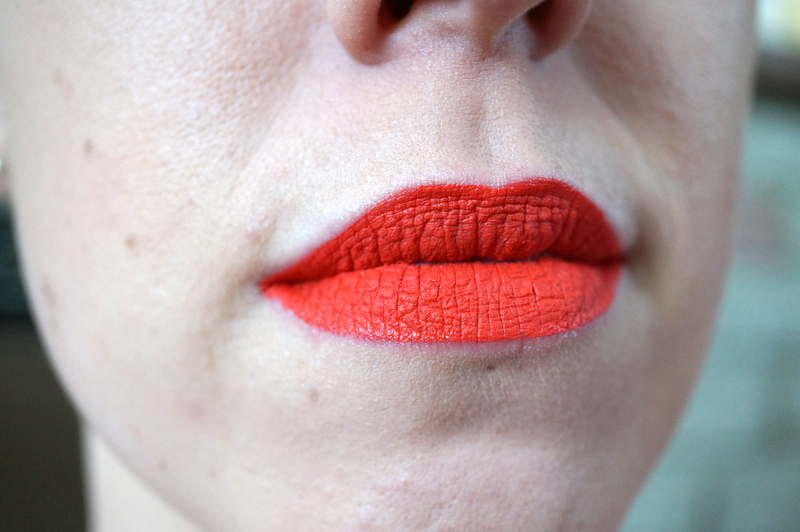 If you follow me on Twitter you may have heared me mention the other day about MUA’s Luxe Velvet Lip Lacquer, I’ve just discovered it and I love it!! The Luxe Velvet Lip Lacquer is an intensely pigmented lip product that gives a gorgeous ‘velvet’ matte finish. The Lacquer itself is an interesting consistency; it’s not gloopy like a gloss, it’s quite stiff and thick which I imagine is due to the high pigmentation content. Don’t let this put you off though, it’s still creamy and easy to apply. It dries really quicky to a fabulous matte finish that literally lasts all day! 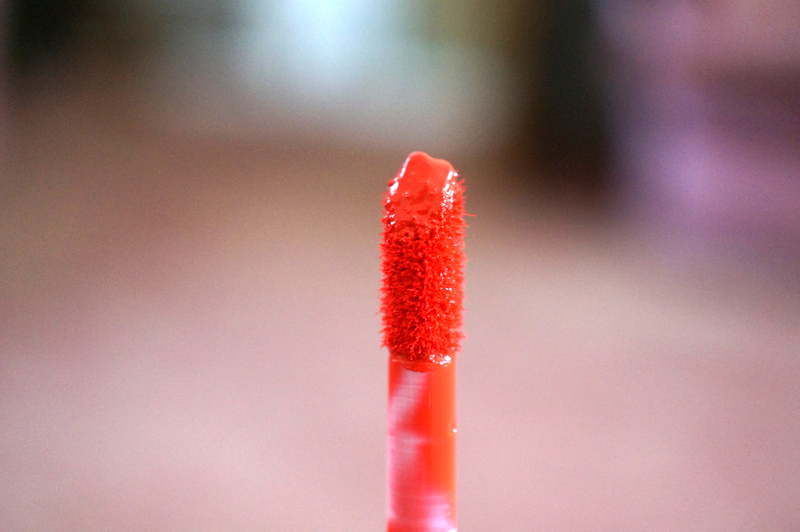 This Lacquer I have is in ‘Atomic’ – which is an amazingly bright and vibrant tomato orange – red. Just look at this colour!!! I completely love it! I think it will look great with a tan in the summer too! 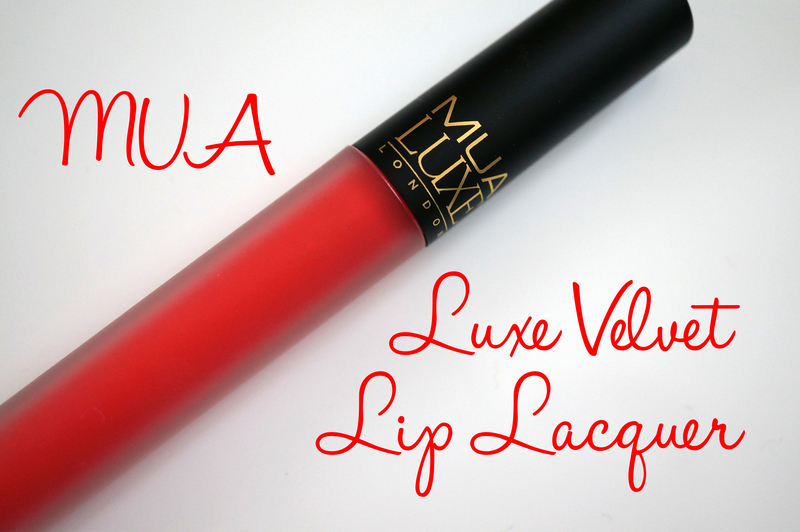 The MUA Luxe Lacquers are a great dupe for Limecrime’s Velvetines – even the packaging is similar! The difference is definitely in the formula though, with MUA’s product being a lot thicker. The only downside to the Luxe Lacquer is it was slightly sticky on my lips. The product itself stuck to my lips like glue, and it didn’t budge. It took a lot of rubbing to remove in fact! The stickiness was felt when I put my lips together if that makes sense. This was only minimal though, and for only £3 a pop I’d definitely recommend the Luxe Lacquers! I can’t wait to try some more colours! Next Post Samsung S5 & Case-Mate Brilliance Champagne Case!